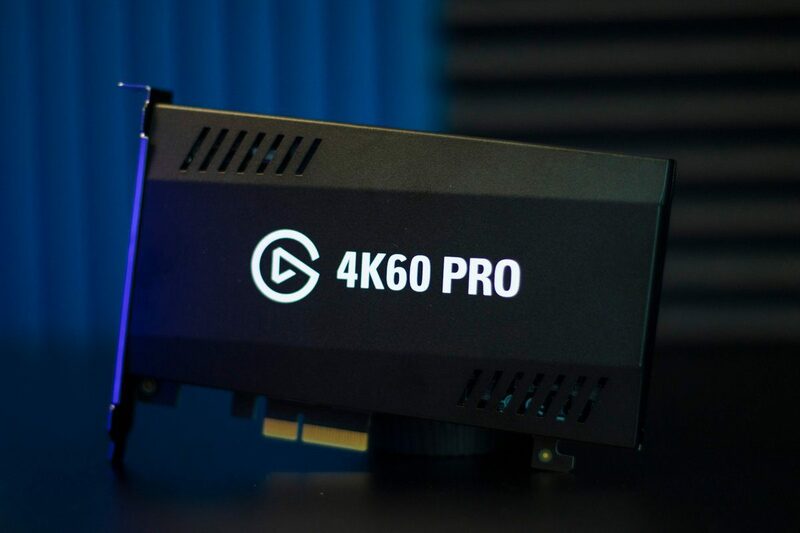 The Elgato 4K60 Pro allows gamers to capture 4K gameplay at 60 FPS on their PC, PlayStation 4 Pro, and Xbox One X at a much more affordable for just $399.99. As the 2017 gaming year comes to a close, its safe to say that 4K gaming is in full swing; between the 4K-built PCs, PlayStation 4 Pro, and Xbox One X, all three systems fully capable of running varying degrees of 4K output. As gaming hardware becoming more powerful, demand for capture cards to keep up is a top priority for gamers and steamers alike. 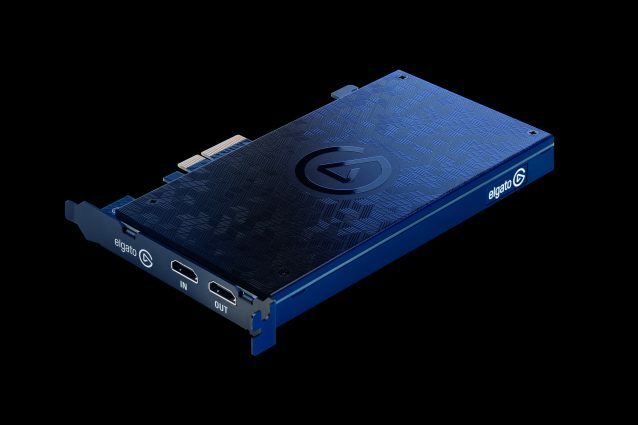 Thankfully Elgato Gaming has finally created a capture card capable of capturing 4K footage flawlessly. The 4K60 Pro comes with the PCI-E capture card, one 3ft HDMI cable, and a cute little Elgato logo sticker. Visually, the card itself is gorgeous, much like the HD60 Pro, the 4K60 Pro offers a simplistic design. But the 4K capture card is a few inches bigger making it the biggest capture card regarding length but still maintaining a slender build. In layman’s terms, it should be easy for you to place this in your PC rig. Fortunately for me, I was able to comfortably fit it under my mega machine without having to compromise much space in the overall rig making the installation quick and painless. One of the biggest complaints that I had with the card’s predecessor, the HD60 Pro, was the lack of backplate, which looked a bit tacky given how much the card itself cost. 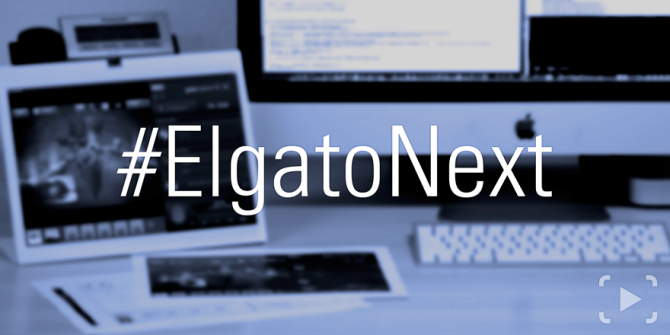 Thankfully, Elgato has provided a backplate this time around, which sports the name of the product and the Elgato logo in white lettering and it seems more appealing to the eyes. Additionally, the device’s top casing features a black Elgato logo while the front of the product offers HDMI In and Out ports in white font. Regarding software, the 4K60 Pro provides two options: the 4K Capture Utility and Game Capture for Windows. However, if you use the Game Capture utility’s footage, the highest resolution is limited to 1080p and 60 frames per second. That being said, despite two options of capture footage software you will need to download the new 4K Capture Utility to capture 4K however, it’s in a beta stage and offer bare bones only offering the option to capture and record in 4K, so if you want all the other options you’ll want to use the Game Captire for Windows until the 4K Capture Utility receives an update or two. Of course, both software options have pros and cons, so it will be up to you to decide which one you want to download. Regardless, I did have the chance to try out both options and the software was easy to use. As someone who has previously owned an HD60, one thing I quickly noticed was that the five-second delay I had when capturing footage, using the 4K60 Pro I was able to record footage without delay. 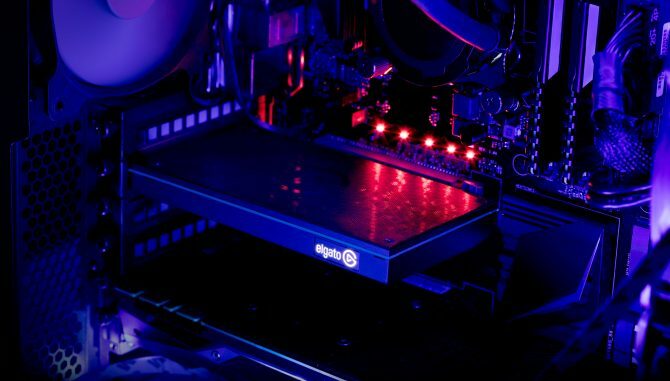 The Elgato 4K60 Pro is a PCI-E capture card. For those who don’t know what that is, it’s a card where a USB port does not limit the device like its earlier products. During my extended hours of capturing the 4K60, I am happy to report that it successfully maintains 4K at 60 frames per second. 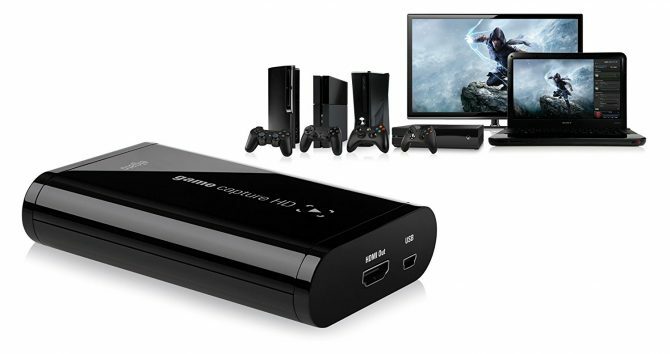 However, if you do not have the proper hardware (e.g., you have a standard PlayStation 4, Xbox One, or a low-performance PC build) the capture card does hold up at a consistent 1080p and 60 frames per second. Going back to those with less powerful hardware, I have yet to invest in a PlayStation 4 Pro and Xbox One X, so I decided to test out this out on both my original PlayStation 4 and Xbox One models. I decided to play some Battlefield 1 and Destiny 2. Thankfully, capturing footage on the card from my console it not only ran smooth like butter, but I did not encounter any technical issues. 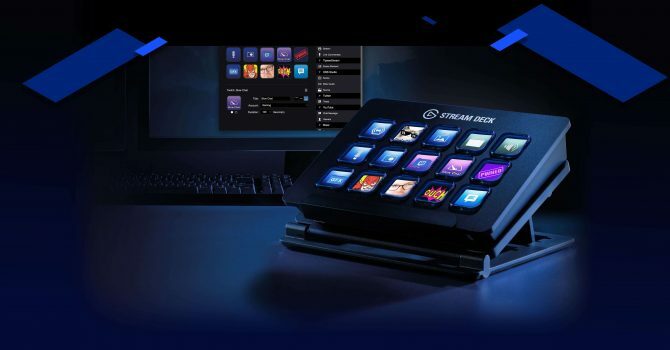 Streaming is also a natural option with just a few clicks of the software, allowing you to stream directly to YouTube, Twitch, and Mixer. But, the streaming options still feel limited. The overlays itself are subtle, but more room for customization would be an excellent alternative instead of having to invest in Adobe Photoshop. Not to mention the overlays themselves feel like they take up a good portion of the screen, I am no overlay expert by the means, but a bit more options combined with simplicity would be great in a future update. Not a major criticism but something that needs to be pointed out. Despite the lack of overlay customization, the software does offer some simple video editing features, perfect for those who are capturing footage on their consoles and provides some great options for editing captured footage from a console. Essential elements available with the software allow you to cut and upload to some favorite sites quickly. It’s not Final Cut Pro in any way, but if you are looking to make some small changes to the video, the software available will do the job fine. Overall, Elgato’s 4K60 Pro is a fantastic capture card, whether you’re using it strictly to capture footage on your PC, or wanting to use it on consoles, it is a powerful device that veterans and newcomers alike should consider. Now, this capture card is currently available for $399.99 which may be steep for those who do not have that type of money. Nonetheless, when you consider numerous other 4K capture devices are more expensive pushing up towards $1,000, for how much its current purchase price, the 4K60 Pro is a bargain. If you own a 4K PC, a PlayStation 4 Pro, or Xbox One X, this product is a must buy for you. Even if you have the standard console models, this capture card is still the definitive capturing device. Editor’s Note: As mentioned above, a unit of the Elgato 4K60 Pro was sent to DualShockers by TriplePoint PR for this review. Specifications in the PC used in this review: Test System: Intel Intel Z270 Motherboard, Intel QuadCore i7-7700K Processor, 4.20GHz, 120mm Liquid-Cooler, NVIDIA GeForce GTX 1080 Ti, 11GB GDDR5X, 16GB DDR4-3200 RAM, 500GB Samsung Evo 960 NVMe M.2 SSD.